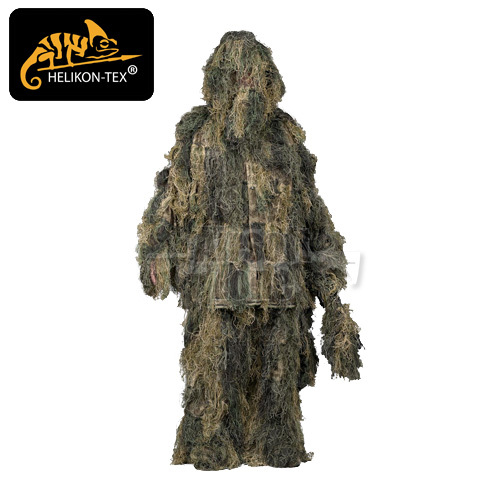 The Ghillie Suit is a set comprising a jacket, trousers, a cap and tape for weapon camouflage. Each element of the set is made of a very breathable mesh with attached camouflage elements for concealment in woodland or desert surroundings. This construction allows the user to wear the Ghillie Suit over the field uniform. A must-have for Mil/LE recon specialists, snipers, designated marksmen and military enthusiasts as well.